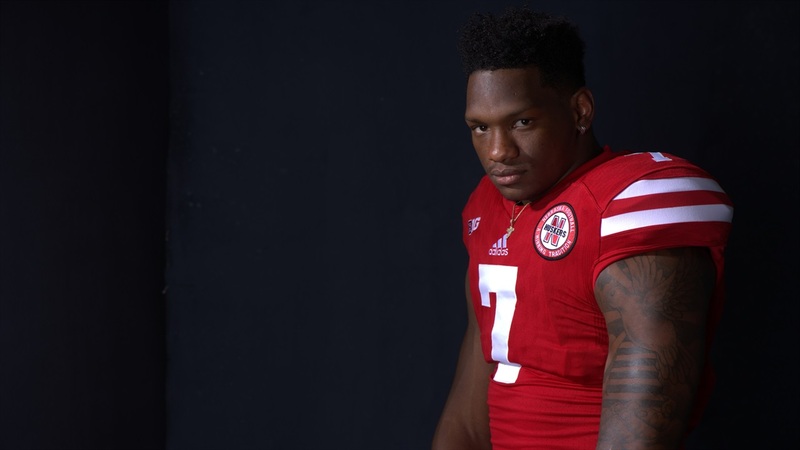 When Mohamed Barry got his Blackshirt, senior linebacker Chris Weber wasn’t surprised. When Nebraska handed out its Blackshirts to the defense on Monday, Barry was one of 16 recipients. That might seem like a high number but the defense has a number of guys that are going to be impactful, even if they’re not starters, Weber said. Barry happens to be one of those guys. Tuesday morning, Nebraska head coach Mike Riley called Barry a “three-for-two” player, a guy who’s technically behind Weber and junior Dedrick Young on the depth chart, but will still have a sizeable role in the unit. Trent Bray, Barry’s position coach, said something of the same. “We gave it to guys we thought have, over the time coach [Bob] Diaco has been here and we’ve been running this defense over spring and fall, shown that they can play winning football for us,” he said. Barry will still put in work on the kickoff unit this season, a place he saw the bulk of his playing time at last year, but figures to see as many snaps as he can handle on defense. He said coming in as a freshman last season, he had to learn patience. “I came in a confident player,” he said, but had to figure out that things take time. His mom was in his ear, telling him to wait his turn. His old trainer from his Georgia days, former Nebraska linebacker Eric Johnson, was in his corner. As for Bray, he was sending Barry texts. Bray said that Barry’s game just continues to get better each day. Now that he’s sporting a black jersey in practice, Barry knows he needs to keep going. Barry also said he isn’t too worried about his role. “If that’s how they see me, that’s great,” he said when asked about Riley’s “three-for-two” comment.